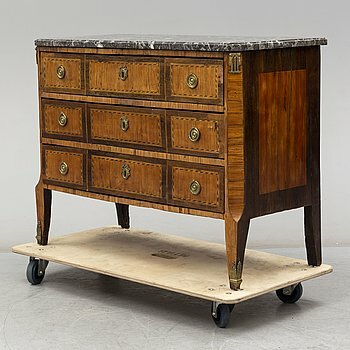 A late 18th century Louis XVI chest of drawers. A second half of the 19th Century painted chest of drawers. A late 20th Century display cabinet from Åfors möbelfabrik. 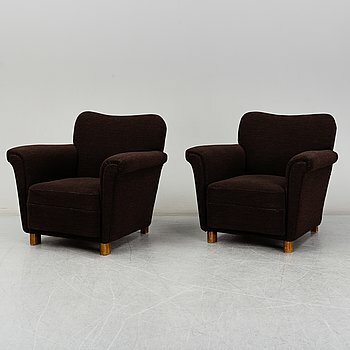 A pair of 'Scandia' easu chairs by Hans Brattrud, Fjordfiesta, Norway, designed in 1957. A late gustavian stool, ca 1800. A Gustavian mirror by Carl Gustaf Fyrwald (verksam 1776-1816. EERO SAARINEN, a Tulip marble top table. A bar cabinet, first half of 20th century. A mid 20th century coffee table for Alberts Tibro. A mid-20th Century brass table mirror. FÅTÖLJER, 2 st, 1900-talets andra hälft. 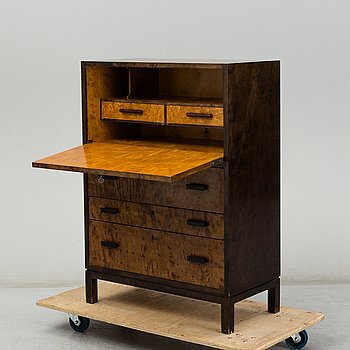 A painted English style desk, second half of the 20th Century. 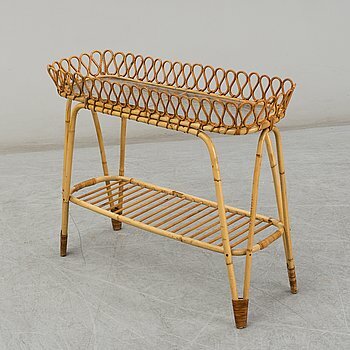 A pair of rattan chairs mid 20th century. A pair of 1940s chairs. A Swedish Rococo chair, second half of the 18th century. 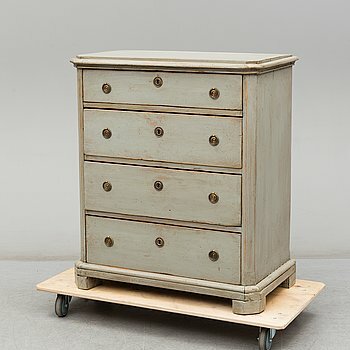 A painted pine Gustavian stylechest of drawers, early 20th Century. PIET HEIN & BRUNO MATHSSON, a curly birch veneered 'Superellips' table from Mathsson International. A contemporary shelf by Reis Pettersson. A side board by Josef Frank, mode 974, for Firma Svenskt Tenn, second half of the 20th century. Thre 'Espri' arm chairs by Ikea, 1970s. Seven teak chairs, Denmark, 1960's. A mid 20th Century Rococo style chest of three drawers. A second half of the 20th Century Gustavian style chest of three drawers. A secodn half of the 20th century six piece dining suite by Carl Malmsten. A pair of Angel Pazmino armchairs, Ecuador, 1960s. A second half of the 19th century dining table. A pair of early 20th century Louis XVI-style armchairs. A pair of first half of the 20th century gates. A gustavian style table and 4 chairs, second half of the 20th century. A pair of 20th century cast iron plant pots. 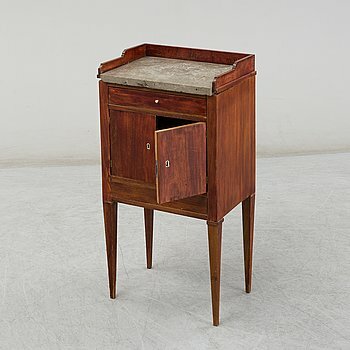 A mid 20th century cocktail cabinet, Svensk Möbelinstustri. An early 20th century oak cabinet. Six Thonet style chairs, second quarter of the 20th century. 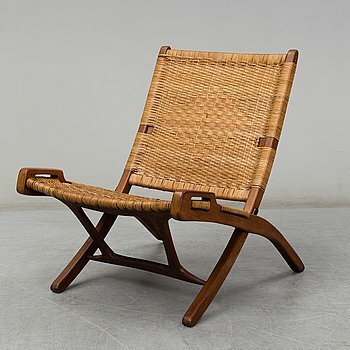 Four mid 20th century garden chairs, Grythyttans Stålmöbler. 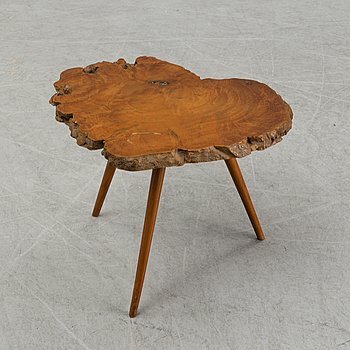 A first half of the 20th Century Swedish Modern elm coffee table. A 1960s coffee table by Yngvar Sandström, Seffle Möbelfabrik. A pair of Louis XV style armchairs from around 1900.
a sofa by Sören Lund Denmark. MIRROR AND CONSOLE TABLE, empire-style, early 20th century. 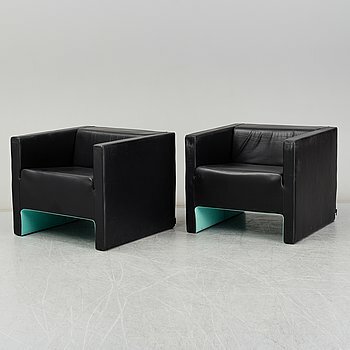 A pair of armchairs and stools,"Nonnamaria", Flexform, 21th century.